The line that transports your water-methanol mixture is extremely important. Snow Performance High Temp Nylon Tubing has a 800 PSI burst rating and a temperature rating that exceeds engine bay conditions. 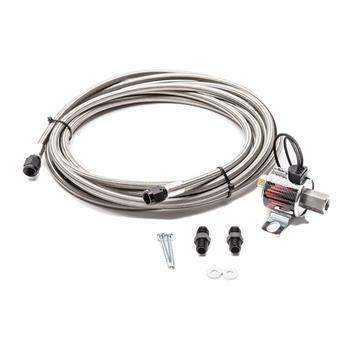 Meaning all of our tubing, including our 1/4” nylon tubing, will not shrink or deform in hot engine bay temperatures, giving you maximum performance and safety. A must for any water-methanol injection application. Our silicone boost hoses are available in three colors (red, black, or blue).